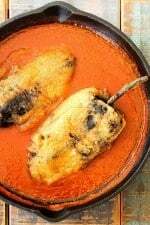 This Chiles Rellenos Stuffed with Mexican Queso recipe has been a favorite Mexican dish of mine since I was a young kid. 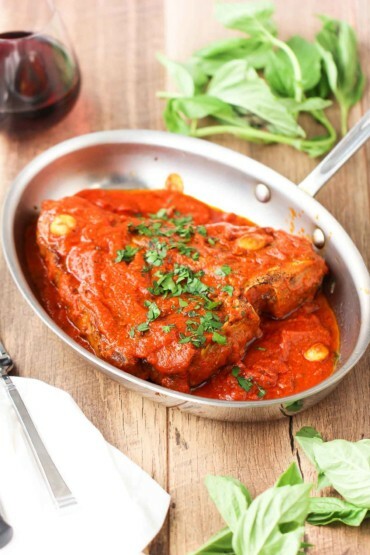 So flavorful, and not too spicy, with a simple, yet deeply flavorful sauce. This is Mexican comfort at its most satisfyingly delicious. 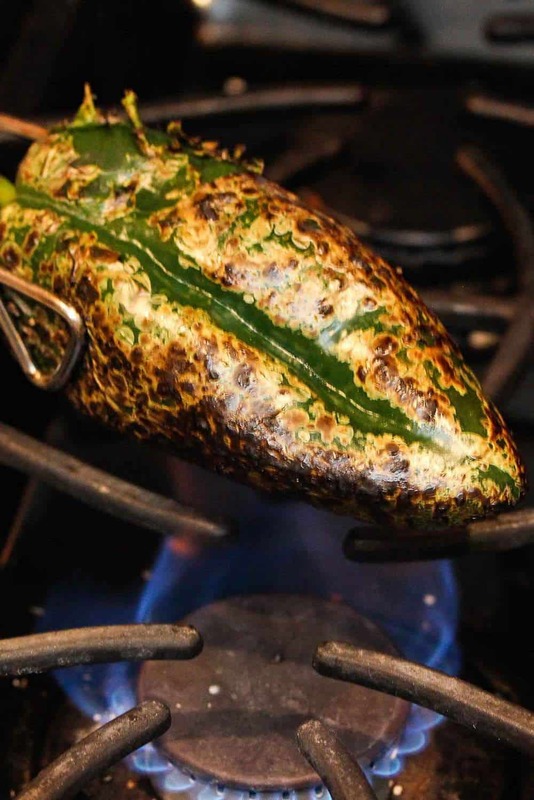 You can roast the chili in a variety ways, from broiling, to grilling, or, by the method I love, roasting over a gas flame! Talk about building a flavor sensation. 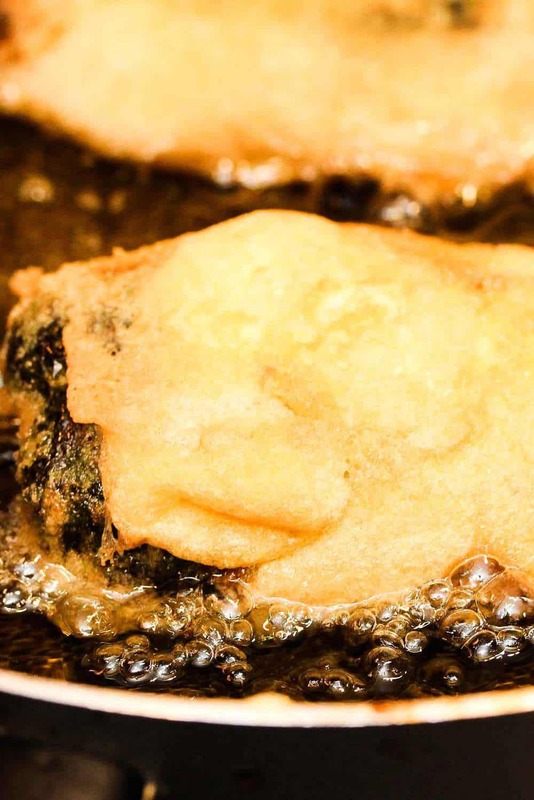 For the batter, bringing the eggs whites to stiff peaks ensures the batter is light and fluffy when quickly fried. Let’s hear it for stiff peaks! 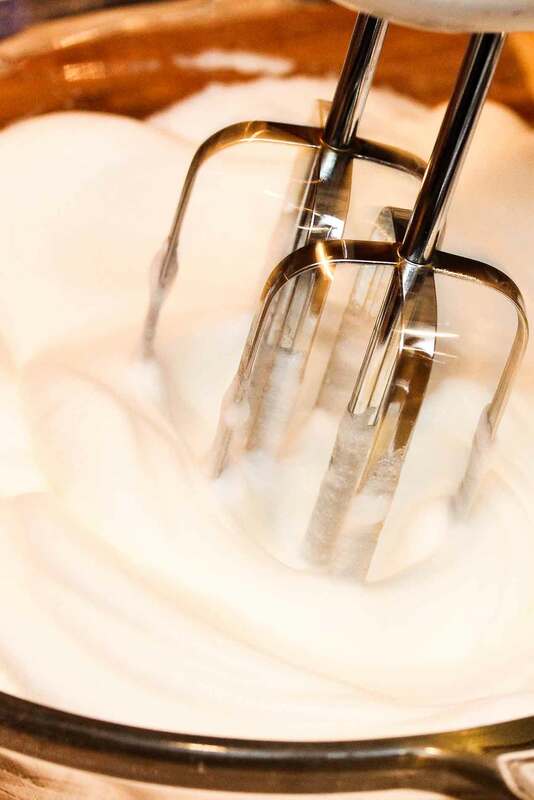 You can use a stand mixer or hand-held mixer. Or, a good ole whisk with a lot of elbow grease! You can make the simple, yet super flavorful red sauce ahead of time. It’s not a thick sauce, yet compliments the stuffed chilis perfectly. Oh, nothing better than a nice tomato-based sauce with some simple aromatics. 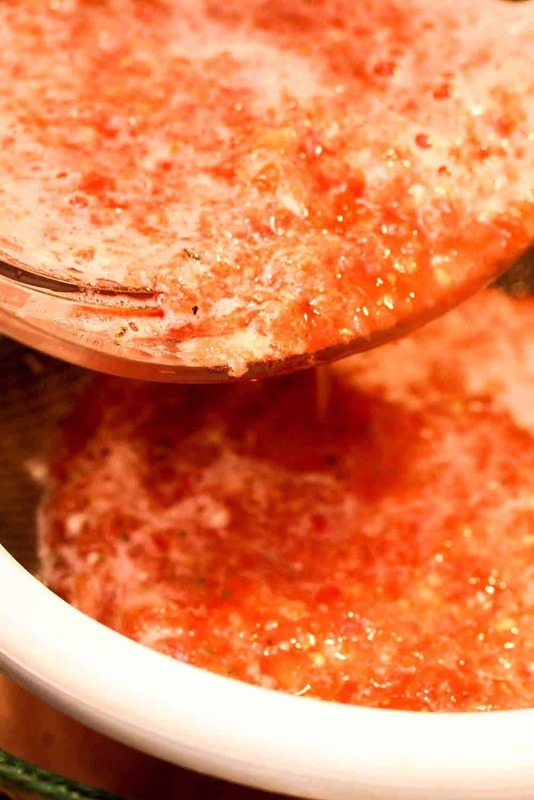 Strain the sauce before cooking it down, slightly, produces a silky and smooth texture. And so delicious! Carefully cut a slit in the side of the roasted, skinned pepper. 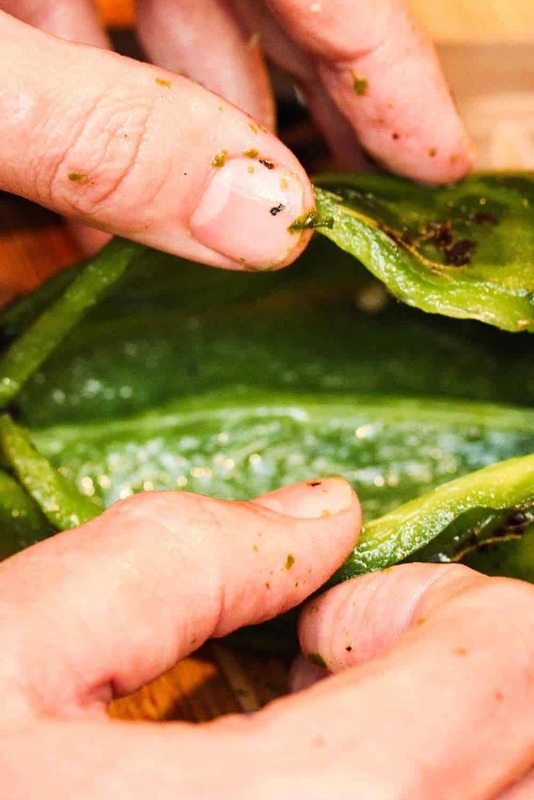 You’ll need to handle the pepper gently, because once the skin comes off, it is a little more fragile. 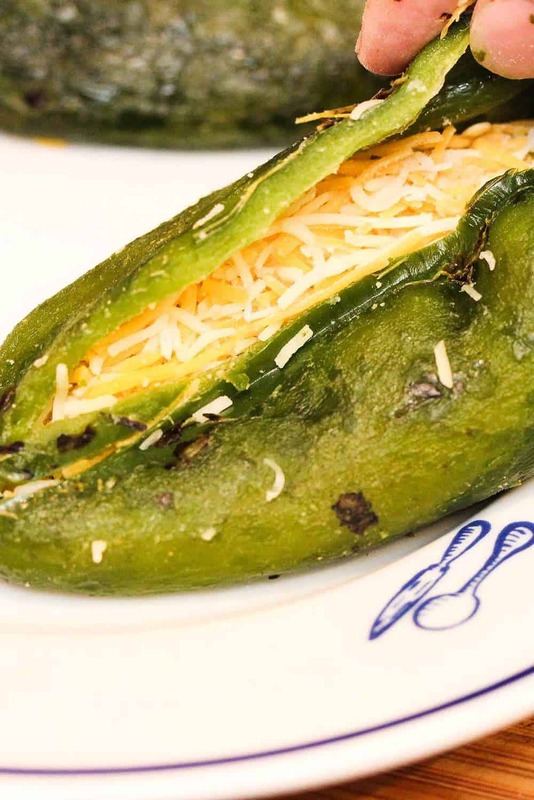 You’ll want to go with a good melting cheese to stuff the chilis with. We love using Asadero, or Chihuahua or Oaxaca, but if you can’t find any of those, go you can use good ole Monterrey Jack, or even cheddar. Once the batter is ready and the chilis have been stuffed, it’s time to coat the peppers. 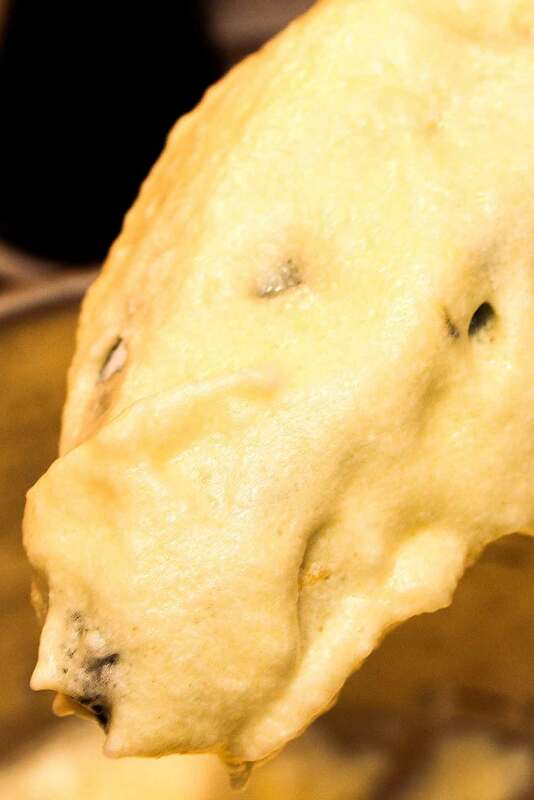 It may require a couple dips and rolls in the batter. And don’t worry if the pepper isn’t 100% covered in the batter. It will still fry up beautifully. To prevent any cheese spilling out of the chili into the hot oil, I carefully lower the coated peppers into the hot oil, and then spoon more hot oil over the area where the seam is. This will firm up the batter and make a seal so the cheese doesn’t come out. This isn’t difficult, but may take you a couple tries to find the best technique that works for you. This dish is sure to please. It never fails to impress at our house. 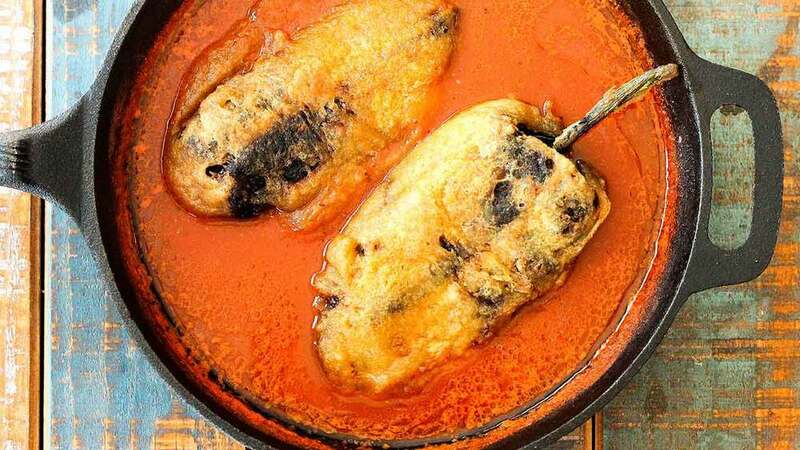 Prepare the chiles and sauce a day ahead, and then quickly make the batter and fry ’em up just before ready to serve! Now, go and make this amazing Chiles Rellenos Stuffed with Mexican Queso Recipe! You will be so very glad that you did!